"Long time ago, people who sacrificed their sleep, family, food, laughter and other joys of life were called *Saints* now they are called HOTELIERS ". 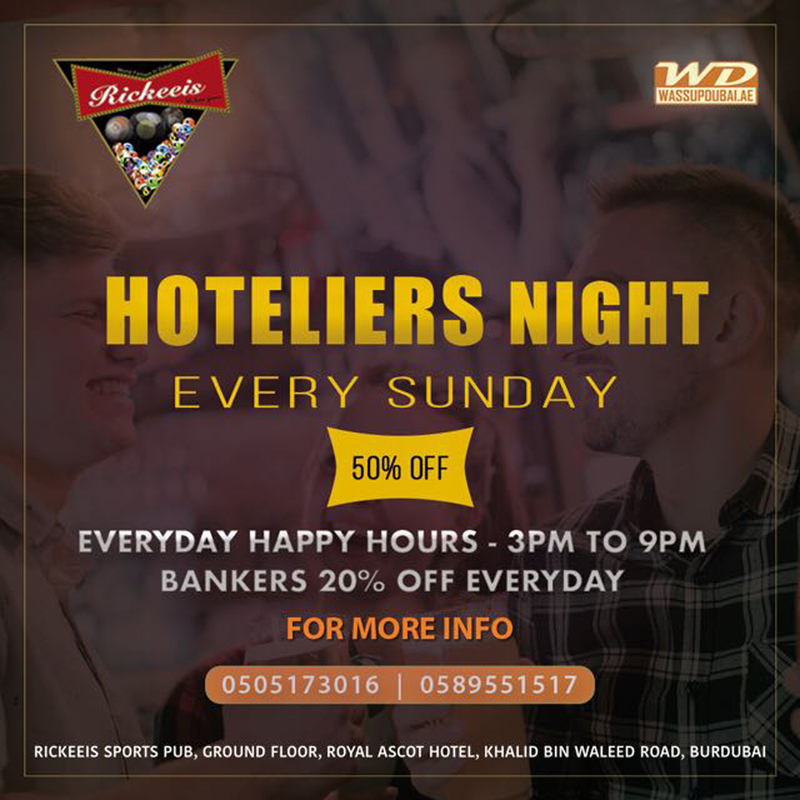 Here is a Sunday madness, 50% off on Drinks. An extremely special night for you guys on Sunday in RICKEEIS SPORTS PUB (Royal Ascot Hotel - Bur Dubai). Featuring - DJ Chrisel Carvalho.